An accent table, extra seating, additional storage ... a cube ottoman is one of those furniture pieces you can't go wrong with. 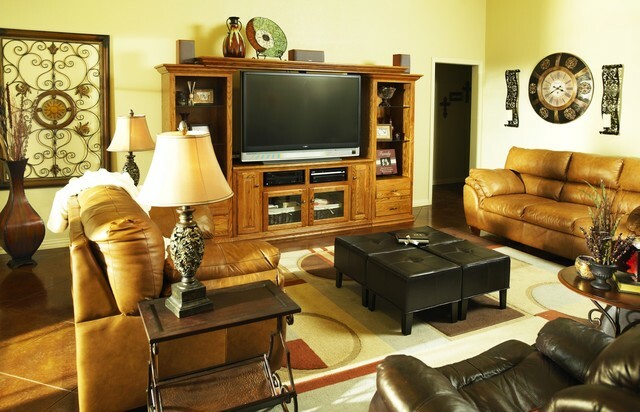 They work well in tight spaces, can easily be moved around, make great extra seating and can incorporate storage. Some clever cubes have tops that can flip over into a tray too. When it comes to style, there's no end to the fun you can have with these pieces. Because they're so small, it's easy to get away with bold prints and interesting materials. 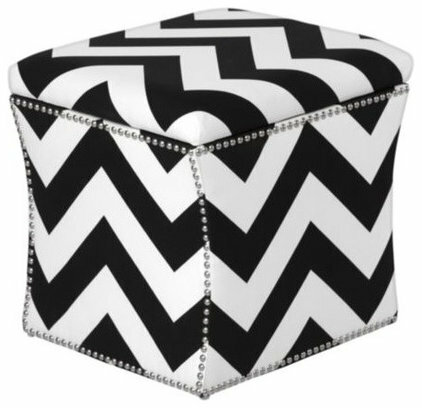 Scroll down to take a peek at some great cube ottomans and the best ways to use them. These cubes have a punchy clover graphic that I've been seeing a lot of this year. 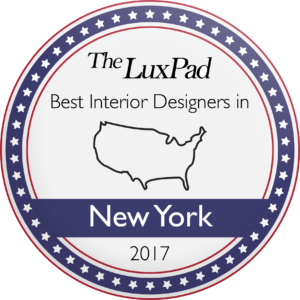 They can bring beautiful color to any room that feels too bland. I love the idea of using cubes at the end of an office desk. Not only is this great seating for visitors, but you can pull them under the desk and put your feet up. Use a bold pattern for a cheerful office pick-me-up. Tuck one or more cubes under a foyer table for an easy entryway solution. Nestle one under a bathroom vanity and just pull it out to sit and apply your make-up. Natural materials are still all the rage in home decor. 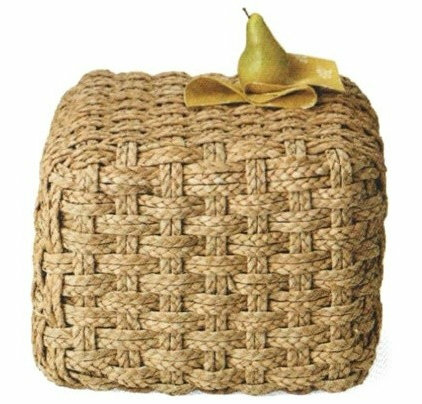 This cube has a natural feel that's perfect for any relaxing space. And it's affordable enough to buy several and group them together as extra seating or in front of a bed. 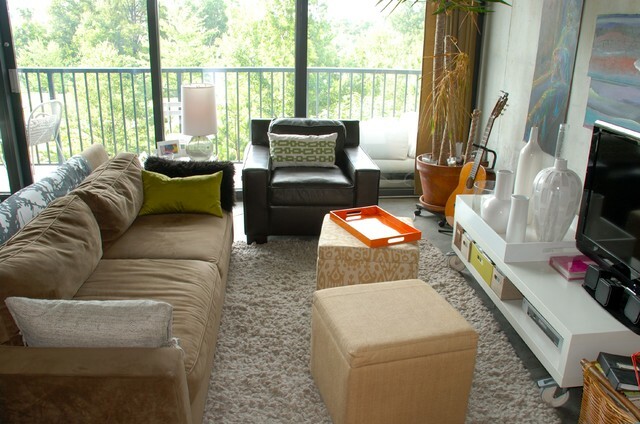 If you have a bold rug in your living room, try placing a cube ottoman in a natural finish on top. A neutral tone won't upstage the rug or confuse the eye with more color. 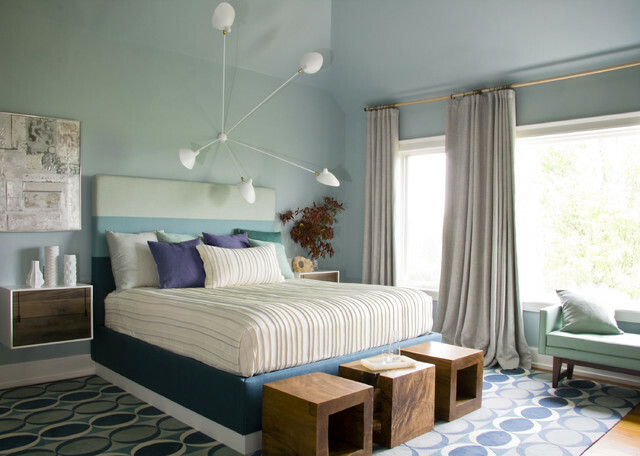 Skip the upholstery and bring in a more natural vibe to a bedroom. Bunch up two or three cubes in a natural material at the foot of your bed to add interesting architectural detail. Small room? 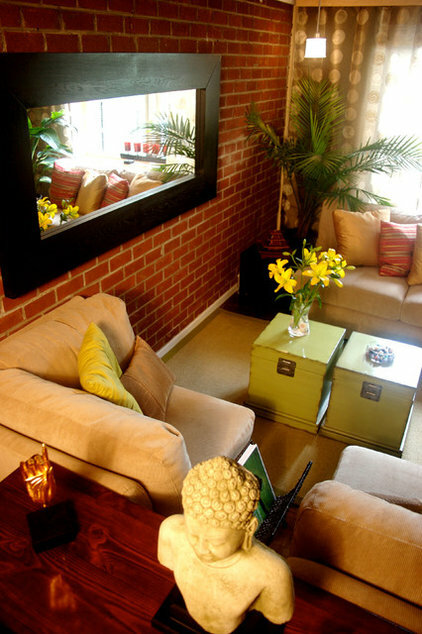 Choose cubes that have storage, and then have them serve double duty as a coffee table. 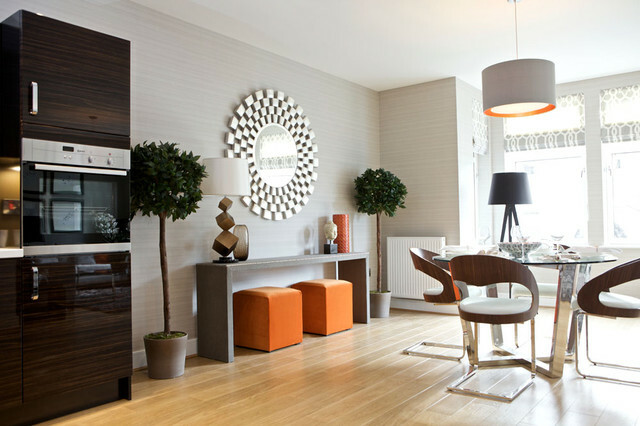 You will have a tabletop that can move around easily and a hidden place to store your essentials. 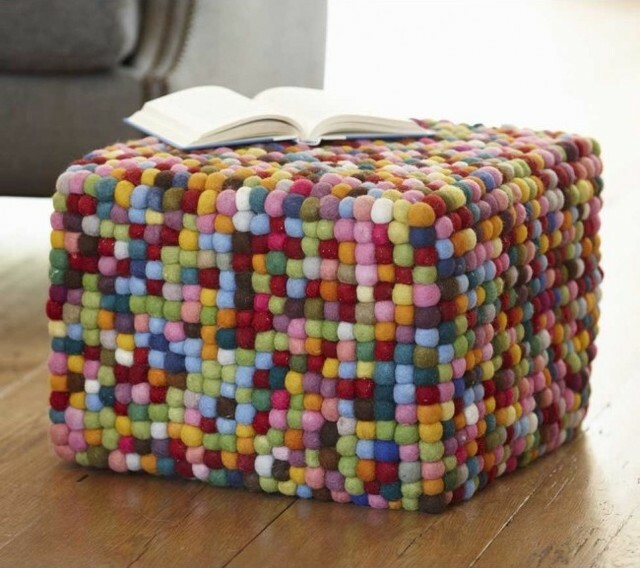 Cube ottomans are great in front of a fireplace for cozy winter nights. Instead of adding color, choose one with fun texture. I dig the funky material on these. This cube is unique, fabulous and comfortable. It would be perfect for any kid's space. 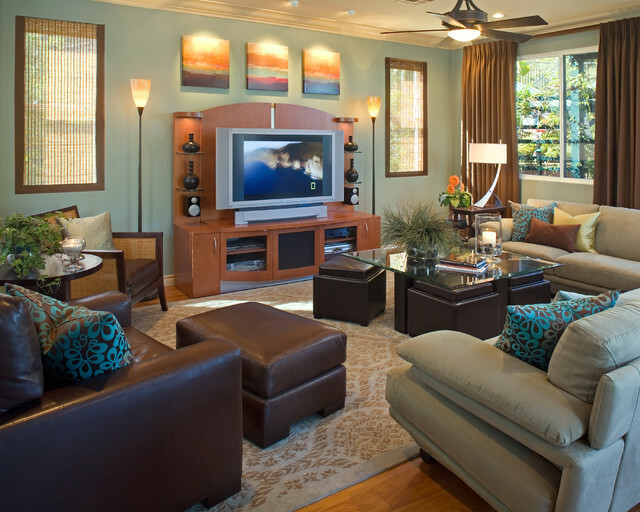 Try pairing two cubes in the family room. Place a tray on one and keep the other one free for resting feet on. Try using two different patterned pieces that coordinate through color. 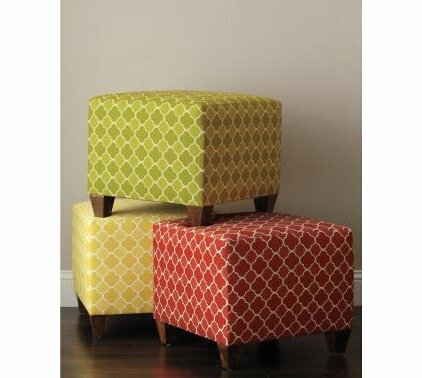 If you have a nice, large space in the center of your room, fill it in by grouping four cube ottomans together. You can break them apart for seating. These days you can find coffee tables that come with matching cubed ottomans to fit underneath the table. The tops of these cubes look like they flip over to become tray tables, making them even more versatile. This is one of those memorable pieces that has it all — it's modern, with nail heads and a bold black and white chevron pattern. 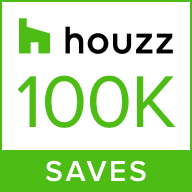 Look for eye-catching cubes like this one to pump up the volume in a living room. Use cubes around a 30-inch table like this one to create a little game table. Look for ones with storage to hide your games in, and try putting the cubes on castors to wheel them around to other rooms when they're not being used as seating.